Bombay Velvet - The 'Bombed Velvet' offers nothing great; neither look nor feel, neither smooth nor rich as Velvet. A periodic film associated with Crime, Drama, Love, Conspiracy; fails to impress on any aspect with poor screenplay, dour taking, sad script and dragged length. In my view, people who get inspired to make such movies of no value to the society; seem to have lost their path of creativity. 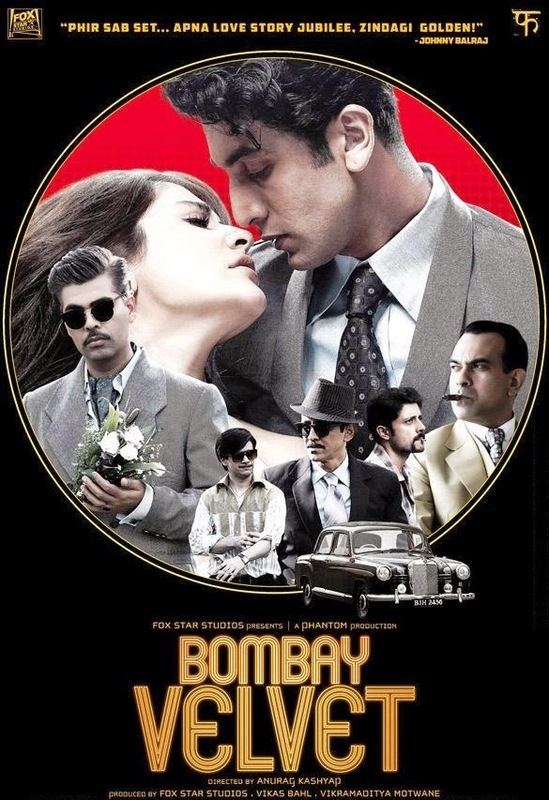 Performance wise, Ranbir's retro look and feel, Anushka's act as a Jazz singer and Karan's expression of amusement are laudable. Overall, this much hyped film on filth in society just deserves guilt and pity. The Indian Medical Association (IMA) has claimed that Akshay Kumar starrer "Gabbar is Back", projected the medical profession in a "derogatory and unrealistic" manner in the movie and has decided to serve the makers a legal notice soon and could start a public protest against the movie. Well, without fire there would be no smoke and this is not fiction, yet every movie now comes with a religious disclaimer of not intentional and could be pure coincidence. I prefer the so called hurt, to concentrate on their work rather than running behind such petty things, than taking roads and doing protests; which is uncalled for. They should stay hippocratic (by oath) and not hypocritic (by path). For God's sake, the Doctors (at the least) should realize that they are considered as Gods for their profession (Vydyo Narayano Hari - in Sanskrit means “DOCTOR IS GOD"). People do not lose faith by depicting some scenes in a movie, but by such unnecessary reactions ignoring their actual duty. And if it is really needed, then why only Doctors; even Collectors, PWD Workers, Tahasildars, Builders, Policemen and Politicians (even Common Public) can also decide to serve legal(!?) notices to this movie and every other movie with such scenes/concept. Even beggars, brothels may also get into such protests making such claims referring to some or the other film. I can only hope the judiciary system to be righteous and faith instilling and for the society to be commonsense prevailing.